Oxfam is the largest retailer of second-hand books in Europe, selling around 11 million books every year. 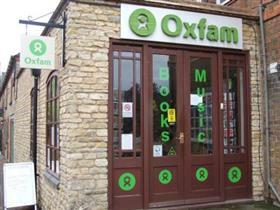 Second hand books, DVD's, videos and albums are on sale at Olney's Oxfam shop, as well as a selection of new cards. The store is located on a walkway up to the co-op supermarket. Sales contribute to Oxfam's fight against poverty and injustice.